Known for its elaborate infrastructure, vibrant strip, engaging entertainment and nightlife, and dazzling, colorful slot machines, Las Vegas, Nevada is a vacation destination that many people put on their bucket list. After this weekend I also learned of the city’s extensive history supporting the horse industry. 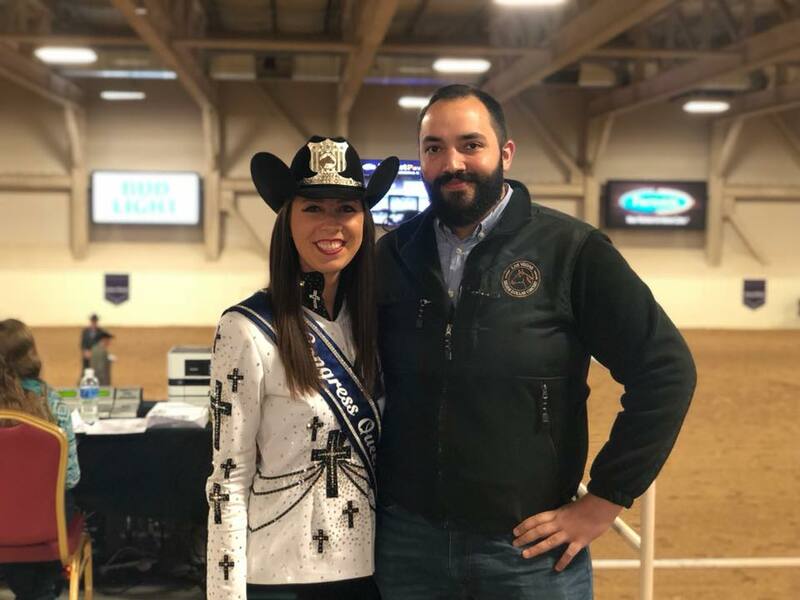 From national rodeos, to ranch and cow work, mounted shooting, and AQHA-approved events, Las Vegas remains committed to supporting the dreams of riders and equestrians worldwide. This past weekend I had the privilege to attend the Silver Dollar Circuit in Las, Vegas. Recognized as one of the top-ten horse shows in the country, the Silver Dollar attracts hundreds of exhibitors to its three-arena facility at the South Point Hotel. What an amazing five days it was! I began my adventure with a tour from Andrew Gomes, nephew of Jan Bruner, the woman behind the scenes of this successful event. I was amazed at the beautiful accommodations and just how many horse activities could take place inside of a hotel! Throughout the week I was able to get to know Jan, Garret, the Silver Dollar’s show manager, Nonny, working with awards, the show office crew, and countless other show officials and volunteers. No matter how many hours they put in that day, they always had a smile and worked towards creating an extraordinary exhibitor experience. 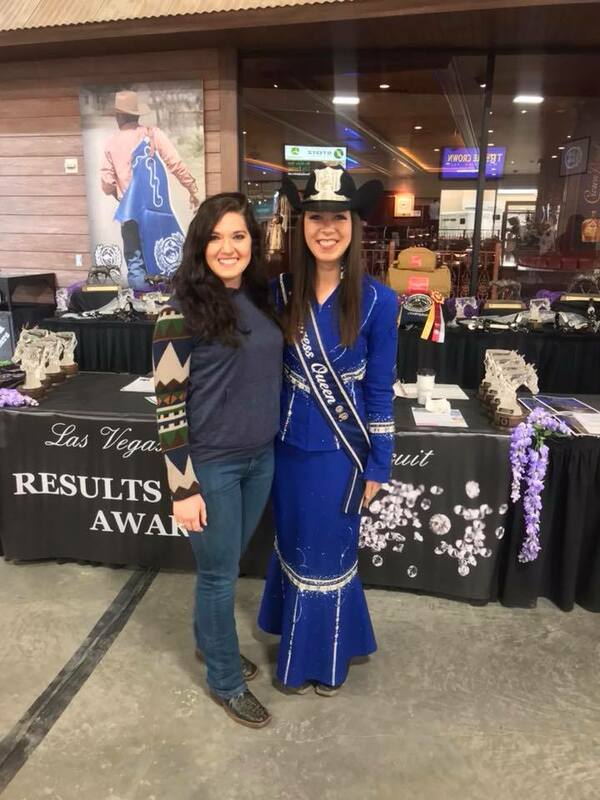 I was able to take part in passing out awards, speaking with vendors, laughing with leadliners, and catching up with 2016 Congress Queen Amy Brown. Not only did I truly have an amazing experience at The Silver Dollar Circuit, but I made countless new friends along the way. I highly encourage anyone who is considering a trip out west to attend this show! From the hospitality of the show management, to the wide assortment of classes, to the Las Vegas experience, you will not be disappointed! A huge thank-you to TJ Romano, one of the Silver Dollar’s prized announcers, for touring me around the Vegas Strip, fulfilling my dream of seeing the inside of the Bellagio (and the five-minute fountain show!) and teaching me how to two-step! Looking forward to practicing before I head to your homestead in Arizona! Singing karaoke among many new friends at the annual exhibitor party. I am fortunate you all came to the stage to supply back-up vocals so that my renditions of “Bohemian Rhapsody” and “Don’t Stop Believin’” did not clear out the room. Getting to know Shane Rux and his crew! I have had the pleasure of enjoying your pictures over the years and it is always fun to get to know the faces behind the camera. The Silver Dollar Instagram Takeover! Shout-out to Lindsey, the show’s social media expert, for letting me share my Las Vegas experience with your followers. A personal interview with Monica Brant. 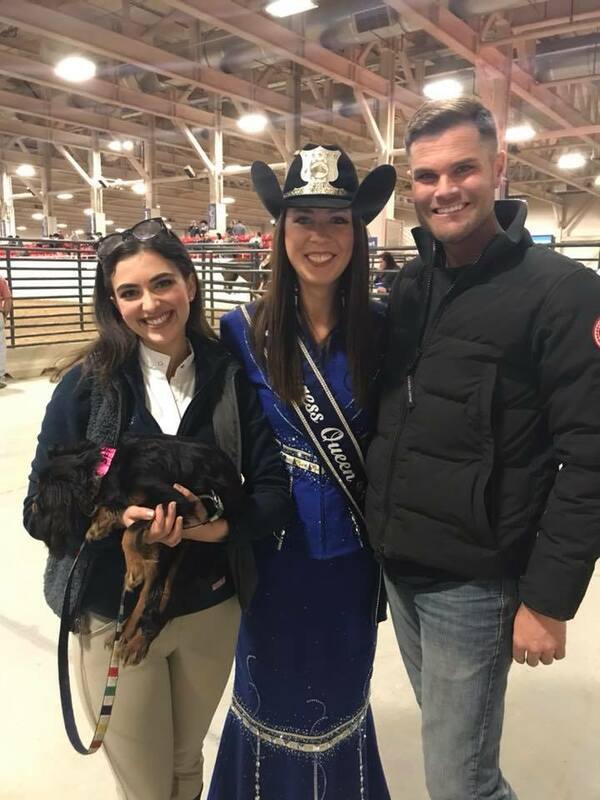 I had a blast chatting with you, Lynda, and your crew during my first day at the show as well as giving your friends and followers a glimpse into the life of a Congress Queen. I cannot wait to see you all at the next show! I had a great first trip to Las Vegas and I am looking forward to seeing some familiar faces at the Sun Circuit in Arizona! So, You Are Running For Congress Queen?